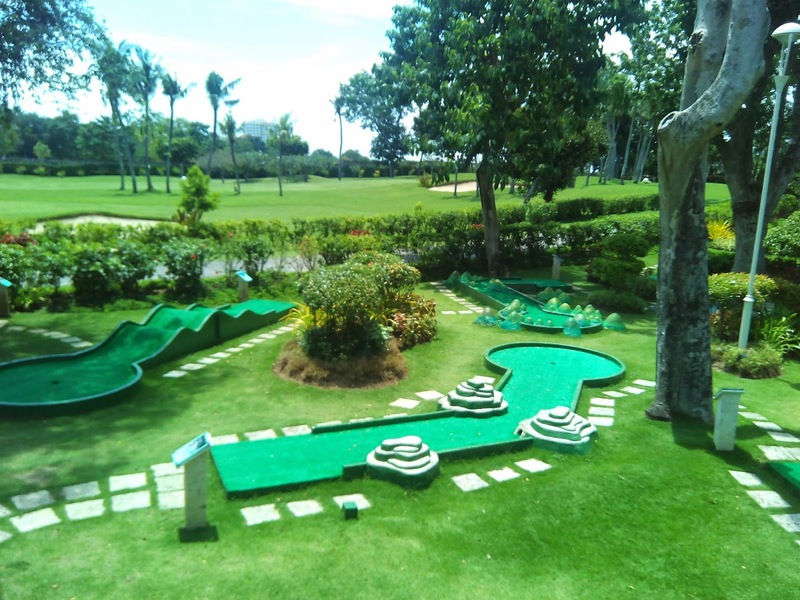 The resort is a very relaxing place full of greens and blues and other lovely hues. The staff are courteous and friendly, too. 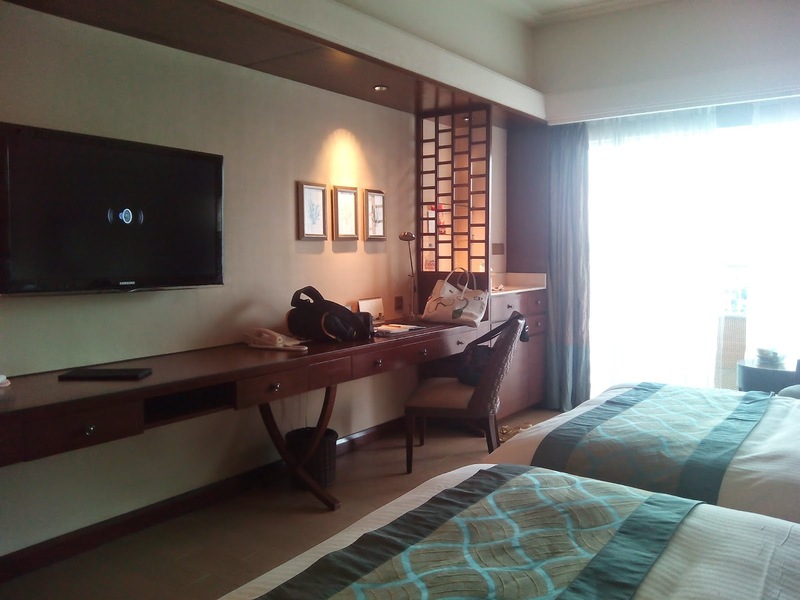 I wasn't really expecting a hotel stay during my trip to Cebu a few months back when I attended my friend's birthday but she was able to get a nice deal and it was also a "treat" of sorts for herself. This is the area where we stayed for the night. The veranda doesn't open to the sea but it has a lovely view of trees and garden as well. 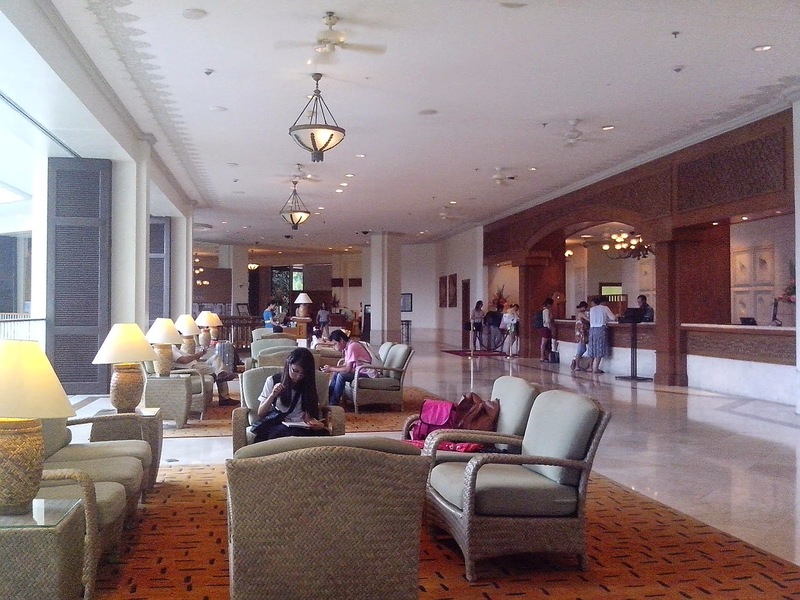 This is the main lobby. Some parts are closed due to renovation when we checked-in but I'm sure its open now. Check-in time is 2pm. However, if you happen to arrive early, you can ask if your room's ready and maybe get lucky to get it early. 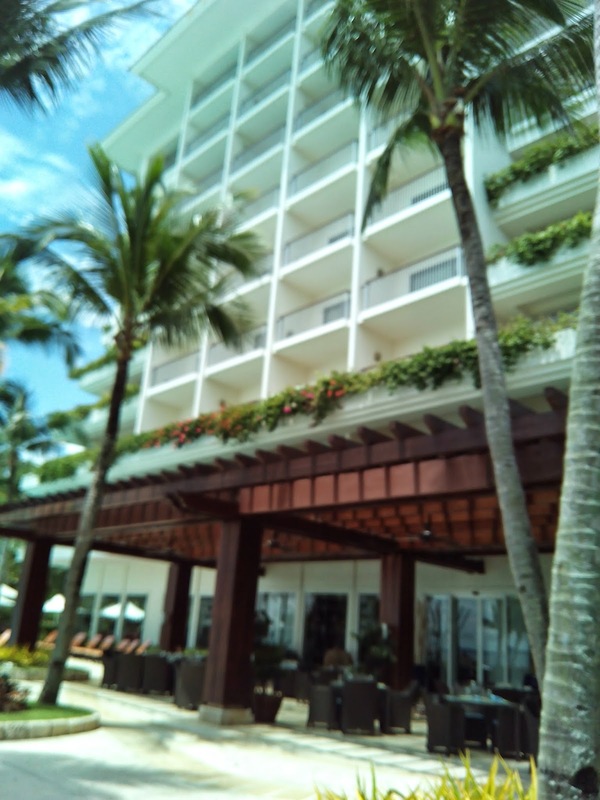 If not, you can leave your things with the concierge and enjoy exploring the resort. 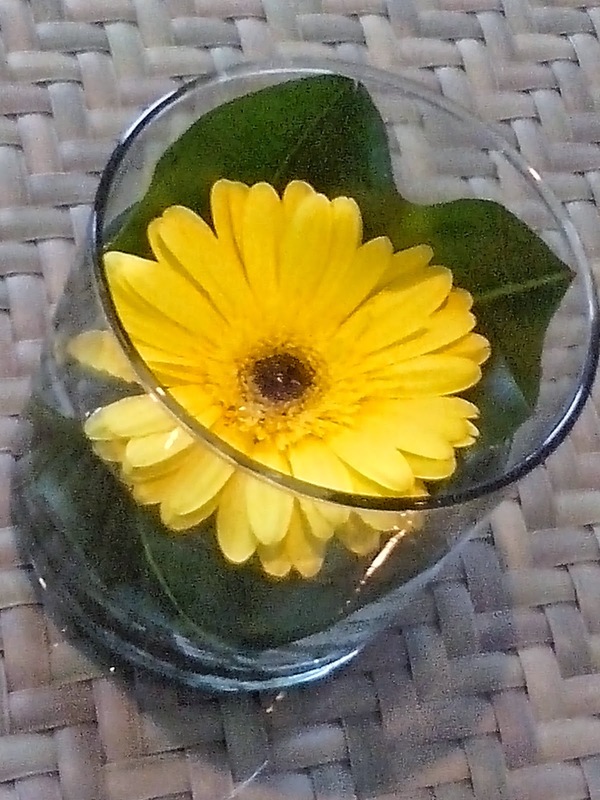 You'll also be given some refreshing drinks upon check-in. 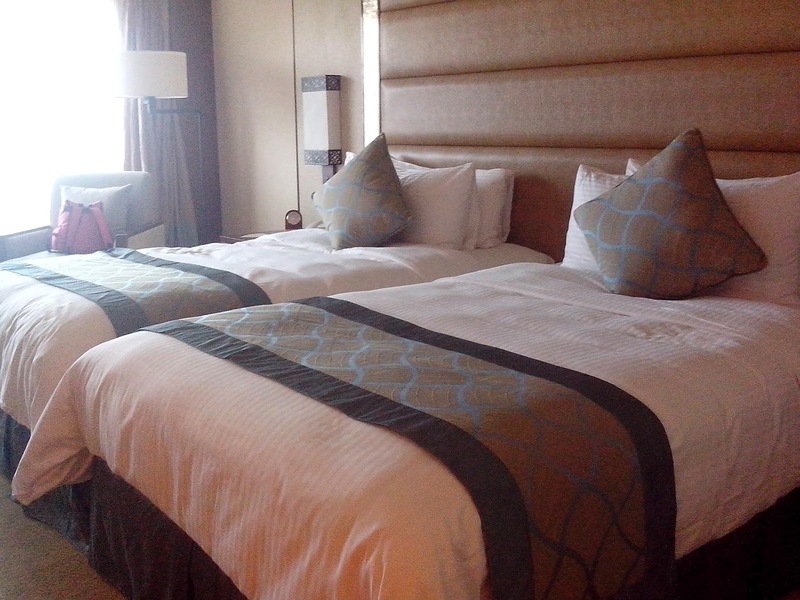 Here's another look at our room. Aside from the bed, there's TV (of course) and a mini-bar, and fridge. Internet was also fast! 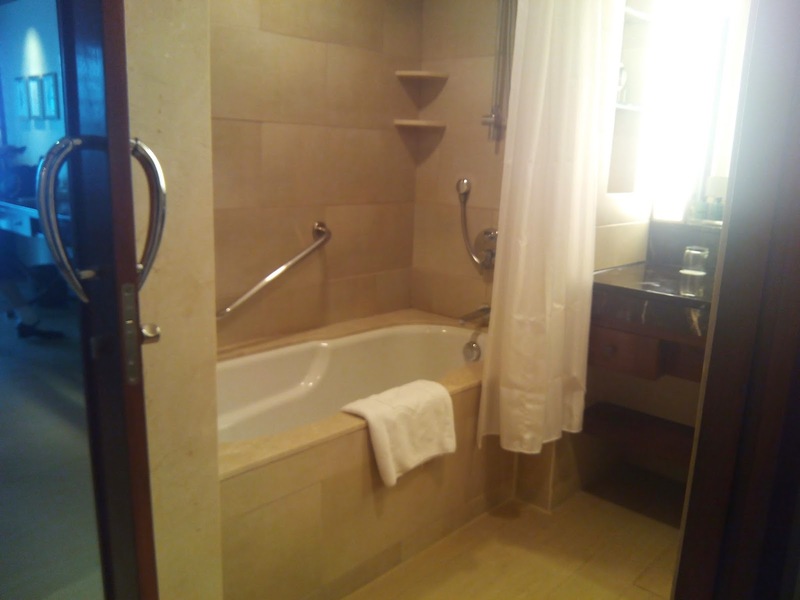 As with other Shangri-La hotels, bathroom has a bathtub aside from the shower. I had a very relaxing sleep and my friend and her youngest daughter was already in the pool when I woke up. I missed swimming in the beach and frolicking in the sand but I'm glued to the bed. Must be because I really had a long day and I wasn't able to sleep prior to my early morning Cebu flight. 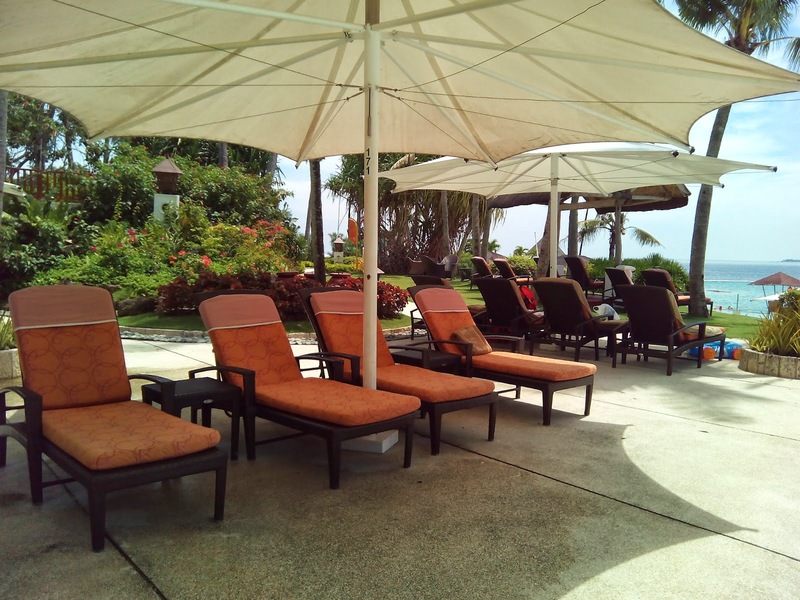 These lounging chairs are just outside Tides, so if you happen to feel sleepy after breakfast, simply grab a chair and doze off. 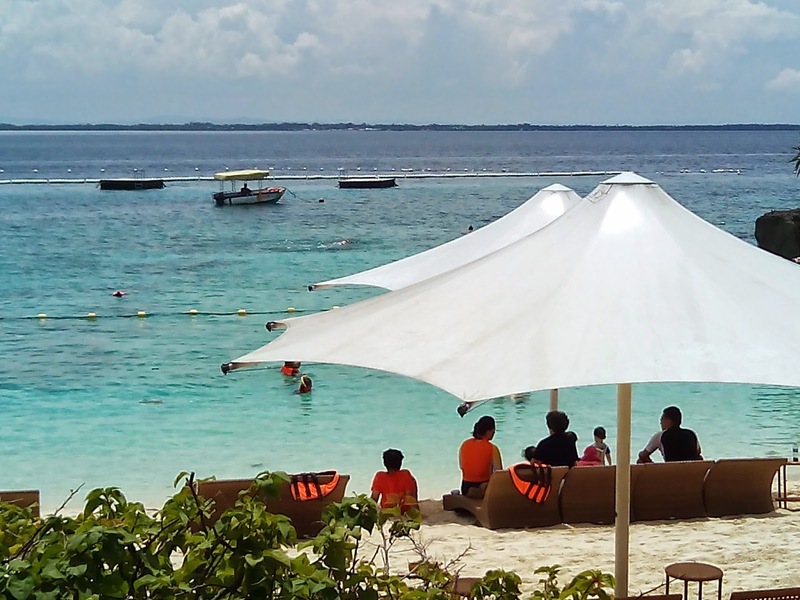 You'll enjoy the cool and relaxing sea breeze. 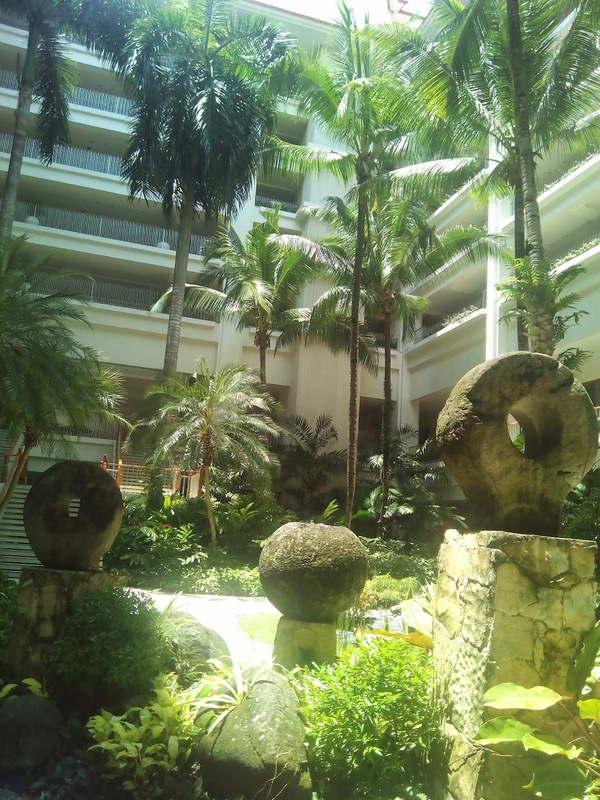 It was indeed a lovely overnight stay at Shangri-La Mactan Resort Spa but like all good things, it has come to an end. Hoping to return again soon and enjoy the Shangri-La experience. We've been here but only for a day trip because we only have two days in Cebu. 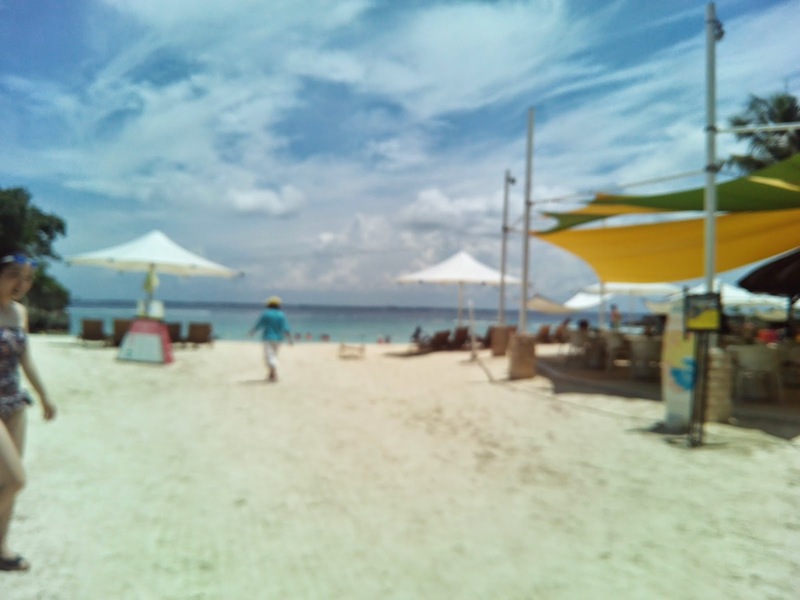 Good thing I booked the last flight back to Manila so we're able to enjoy a day in a paradise. I love the place, food and service. I was newly married on honeymoon in 2002, when I first saw this hotel. We fell in love with it at first sight, but never got to return. Lovely hotel, but also quiet expensive. 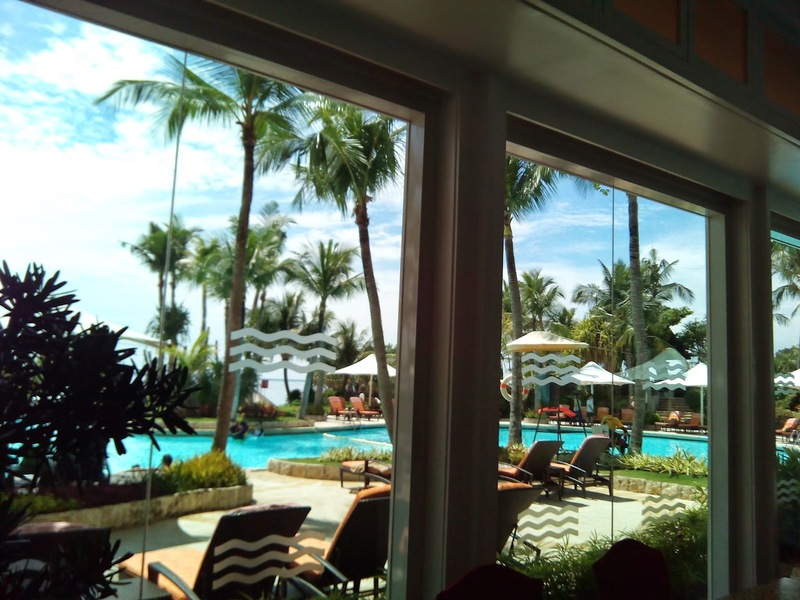 I love Shang Mactan for I have been there twice. 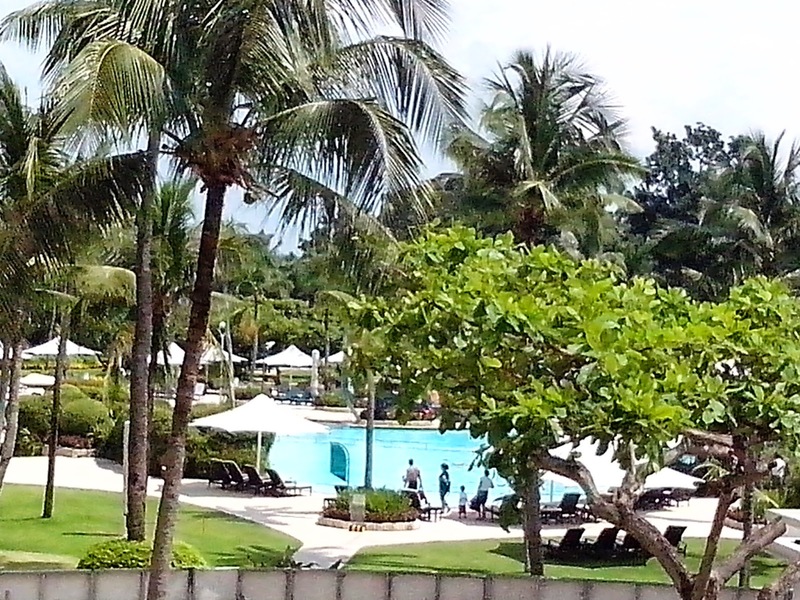 Will visit Cebu again next year but thinking of other hotels to try. So beautiful, I want to go to Cebu soon!!! Lovely getaway! :) I'm hoping to go back to Cebu soon. Last time I was there, it was just me and a friend. Now I want to bring my husband and kids there too. 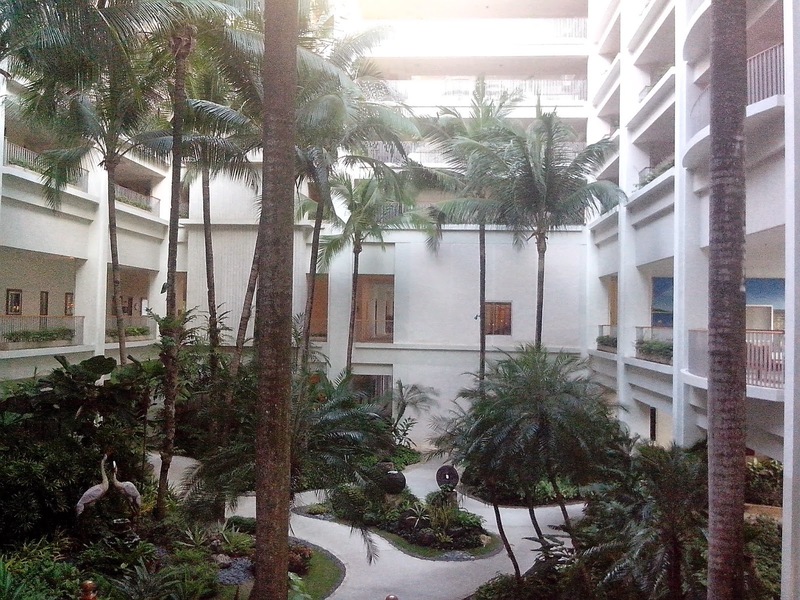 I love the hotel! Looks like heaven! Cebu is definitely on my wish list of places to visit. 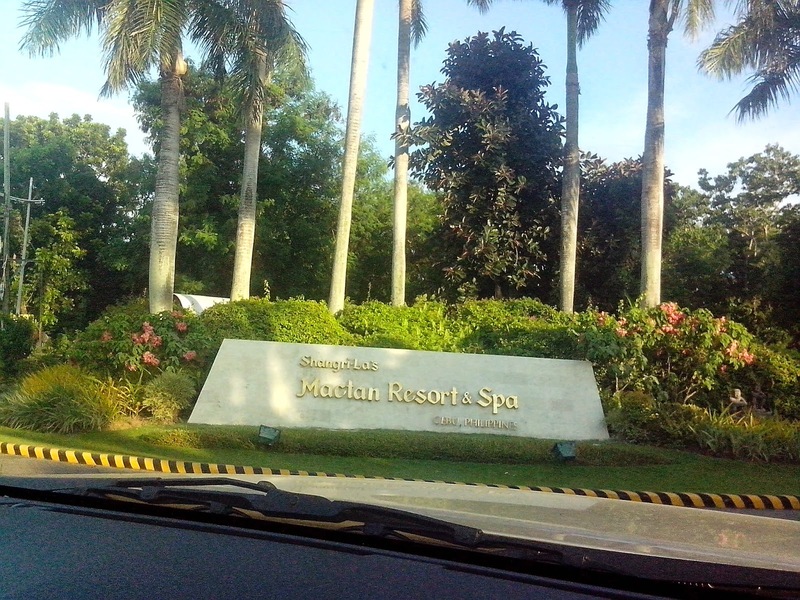 Ooooooh I want to try Shangrila Mactan one day!